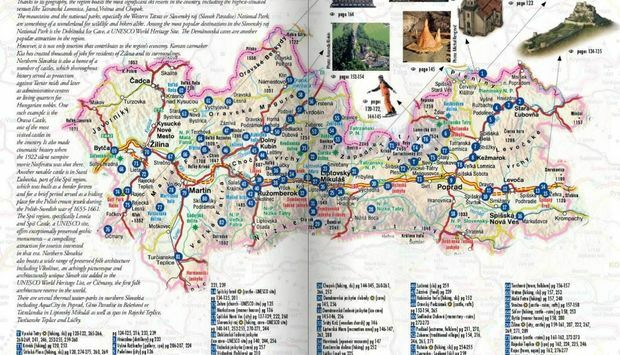 Live your own story of Slovakia – read online modern guide to Slovakia in English. Dozens of castles, mansions, mediaeval cities, caves, spas and more with detailed information, opening hours and full contact details. The Bratislava region, the most densely settled and urbanised area of Slovakia. Its strategic location at the junction of the Czech Republic, Austria and Hungary has been a key factor in making it the most prosperous region in Slovakia. Central Slovakia, with its extensive forests is the least densely populated region of the country. It is home to the Low Tatras and Muránska planina national parks. The hilly terrain is well suited for ski resorts Donovaly or Jasná in the Low Tatras. 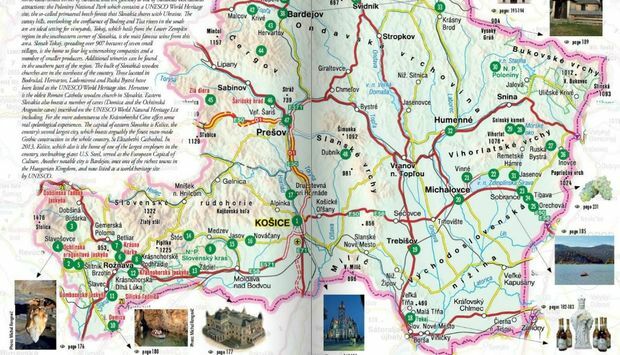 Eastern Slovakia, with its hilly terrain in the north and lowlands to the south, as well as borders with Poland, Ukraine and Hungary, is something to be seen. 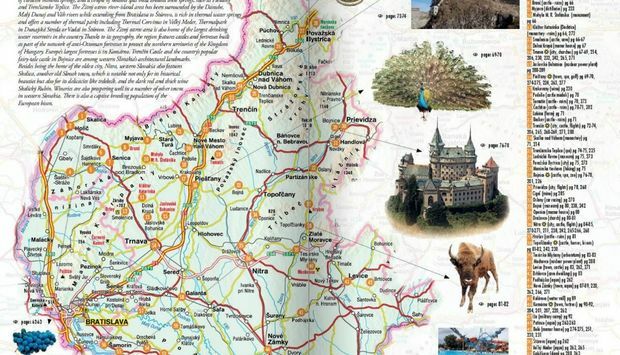 Northern Slovakia is one of Slovakia's most physically spectacular areas and also most developed in terms of tourism. Thanks to its geography, the region boasts the most significant ski resorts in the country especialy in the High Tatras, Low Tatras and Lesser Fatra mountains. Western Slovakia boasts both hilly regions and lowlands including Slovakia’s agricultural heartland in the south-central region. The area offers a number of curative mineral springs, and a couple of notable spas built around these springs, such as Piešťany and Trenčianske Teplice.